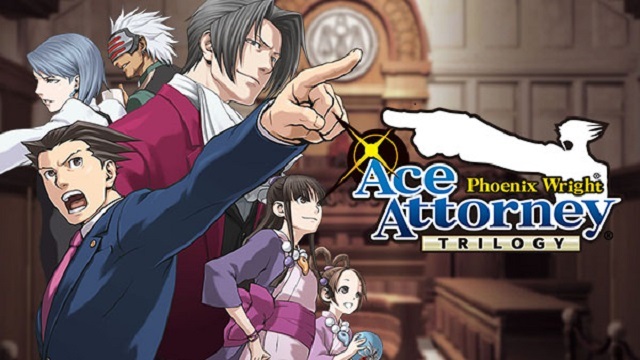 About six months back, Capcom made a announcement that it would be bringing the original trilogy of Phoenix Wright: Ace Attorney games to the PlayStation 4, Xbox One, PC, and Switch sometime in 2019. Well, that time is finally upon us as the trilogy releases worldwide tomorrow. Aside from simply being able to replay these games on newer systems, a number of welcome improvements and enhancements have been made. Of these, the most noticeable is the replacement of the Nintendo DS’ pixelated artwork with all new, hand-drawn artwork. Both the character portraits as well as the backgrounds have been completely redone. Rest assured though that this new art remains true to the style of the original while making things much more polished. Additionally, the UI has been completely revamped and now accommodates standard 16:9 displays. While it looks largely the same as it did before, the text is noticeably crisper and uses a new font as well. It’s worth noting that a different Phoenix Wright: Ace Attorney Trilogy released back in 2014 for the 3DS eShop. There do seem to be a number of noticeable differences between that version and this newest though. Namely, there won’t be dual screens or a touchscreen and the graphics in that version were fairly close to the originals in terms of quality. This new version will also feature 10 save slots as well as support for both English and Japanese language options. A language patch for additional French, German, Korean, Simplified Chinese, and Traditional Chinese will be available for download this August. If you’d like to pick up a copy for yourself, this one’s digital only. You can find it on any of the respective platforms’ digital stores listed above.